It has been a while the Kolkata clubs have had any Bangalore representation. The supply line from the breeding ground of Indian Football to the big clubs of the Mecca of Indian Football has been reduced. Satish Kumar in 2010-11, Murali J in 2011-12 were the last in list, and Dada Nabeel was on trial a few seasons back. The latest addition is Hubli-boy Chinta Chandrashekar Rao. 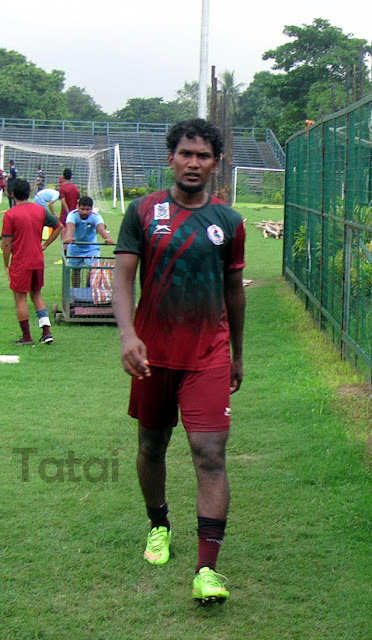 A side back, a TFA product, who had earlier turned out for United Sports and Sporting Clube de Goa in the I-League. Chinta had a very low last season, had no club for most of the time. He signed for Viva Chennai, and then occasionally turned for Super Division team, Students Union in Bangalore league. Chinta called up Sanjay Sen, his former coach in United Sports, who in turn told him to wait until he got a call from the club in two weeks. Interestingly, Sen was also the assistant coach of the Junior National team during Chinta’s junior days. Chinta’s performance will be evaluated in Kolkata Football League, only then he’ll be registered in I-League.